Our Rose Gold Mixer has been designed to be mixed with our K-Gold and allows you to create rose gold alloys of 18 - 24ct. 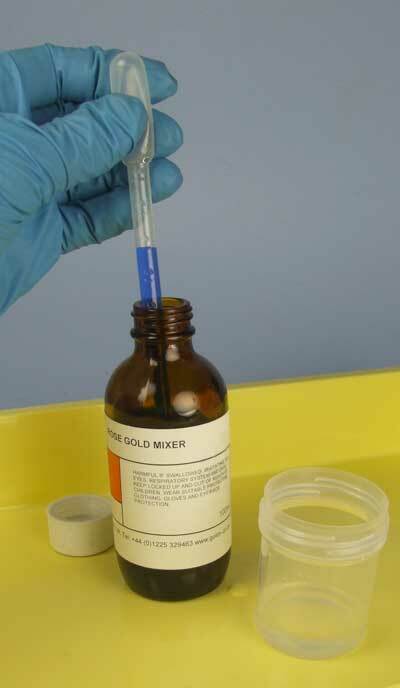 We recommend you use a 1:10 ratio of Rose Gold Mixer to K-Gold, which means that if you are using 1ml of Rose Gold Mixer, you need to add it to 10ml of K-Gold. Plate at 2 volts and use a carbon electrode if brush plating. The prepared rose gold plating solution can also be used with our Battery Powered Plating Pen and our Plating Pen that can be connected to one of our power sources. 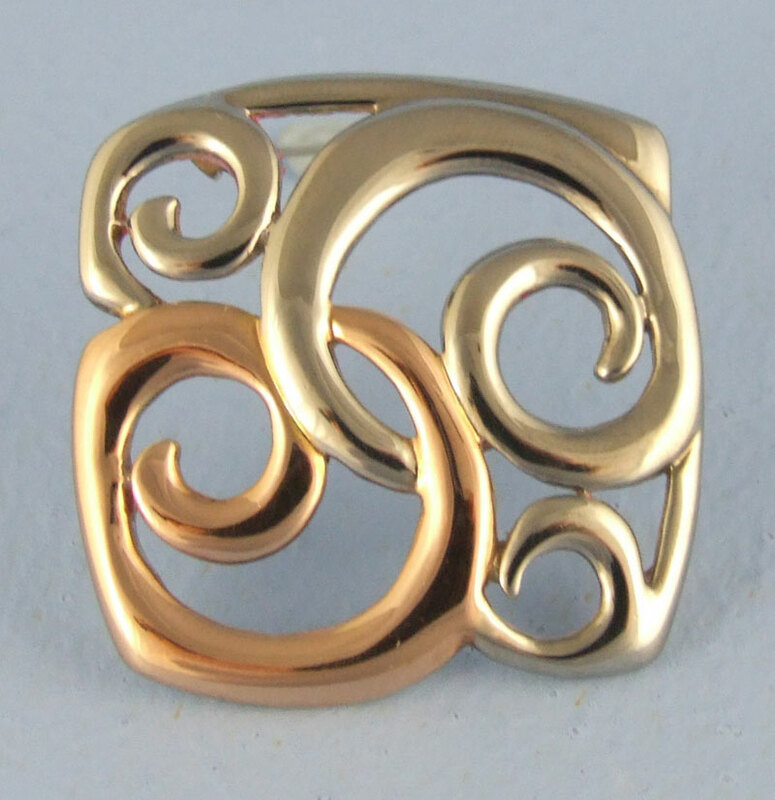 When plating on to stainless steel, nickel and its alloys, first plate a layer of 24 carat gold using our Gold Flash. 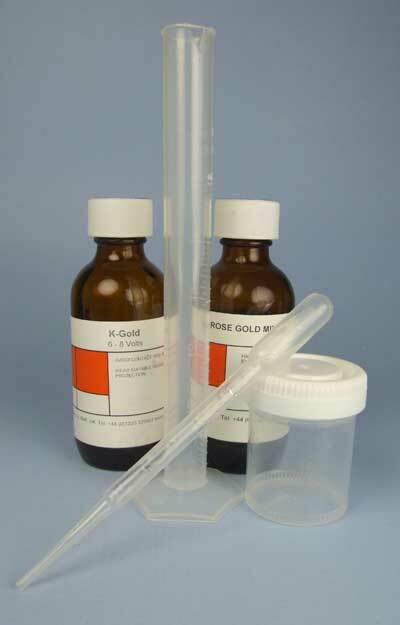 Solutions; Rose Gold Mixer, K-Gold, Equipment; Beaker, Measure, Pipette. Measure out the amount of K-Gold you need. 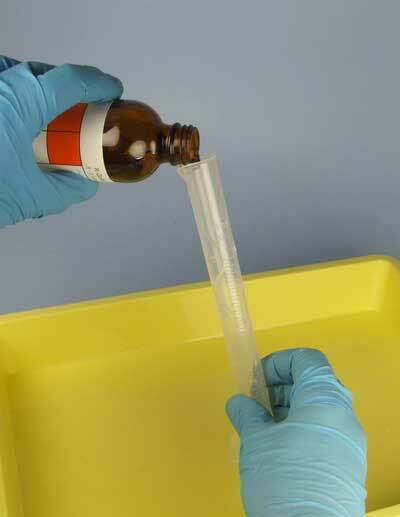 In this example we measured out 10ml, this being the correct amount for a ratio of 1:10. Measure out the amount of Rose Gold Mixer solution you’ll need. 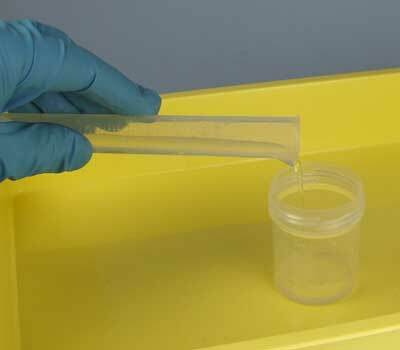 In this case we measured out 1ml. Add the measured amount of Rose Gold Mixer to the K-Gold in the beaker. 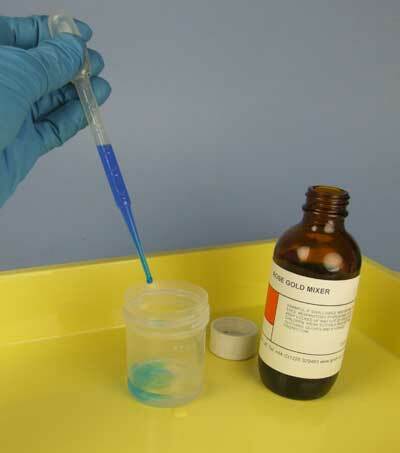 Make sure the solutions mix by gently swirling them around in the beaker. Once you have mixed the solution, use within 24 hours.